Test solution for manufacturing and new device development of passive DWDM devices, ROADMs & Circuit Packs. Provides full characterization of wavelength dependence performance. The new MAP-200 based Swept Wavelength Test System (mSWS) series represents the continued evolution of VIAVI’s industry standard solution for measuring insertion loss (IL), polarization dependent loss (PDL), return loss (RL) and directivity of DWDM devices. 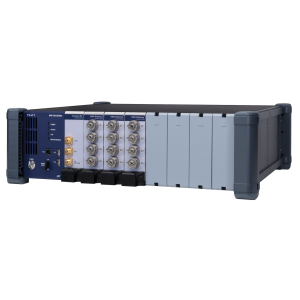 It provides the optical performance required for high wavelength resolution testing in both research and development (R&D) and production environments of next-gen DWDM devices.